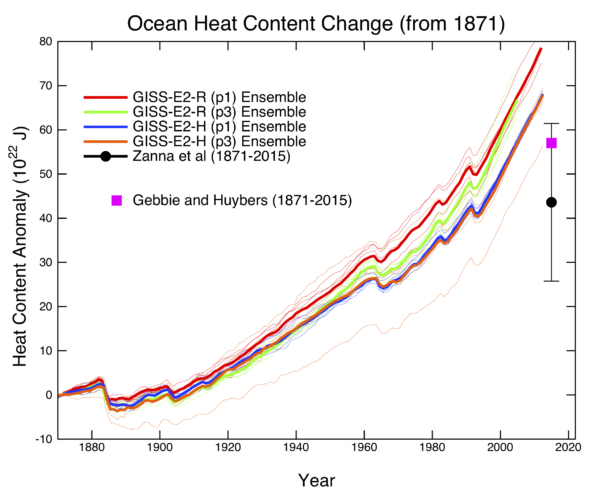 ZKGIH19 shows that regional changes in ocean circulation have an imprint on patterns of OHC and thermosteric sea level in the Atlantic Ocean over 1955-2016. 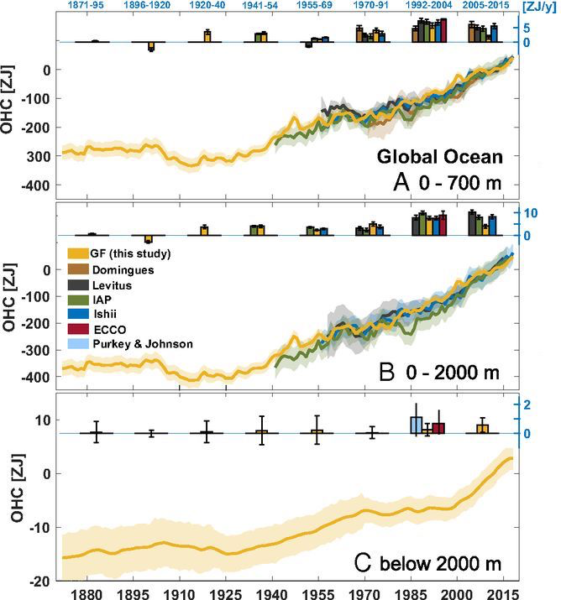 By comparing with observations, they argue that up to half of the observed ocean warming and thermosteric sea level trends between 20ºS and 50ºN are due to time-dependent ocean horizontal and vertical redistribution. They showed that there are large variations in patterns of warming between the early and late periods. GH19 mostly focus on the deep Pacific and showed large OHC cooling trends over the past century, (but did not show global latitudinal distributions). 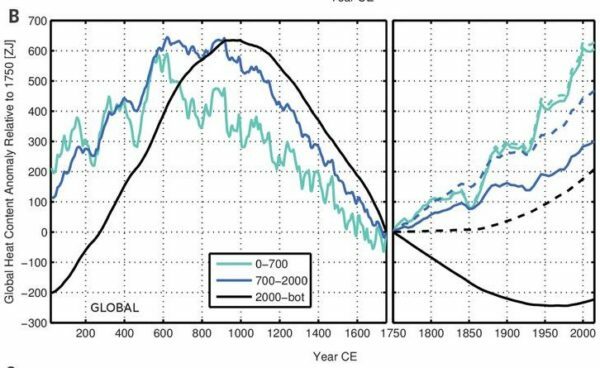 They argue that the deep Pacific cooling is a signature of long-term adjustments of the ocean after the Little Ice Age. ZKGIH19 shows basin-scale estimates but those include the Southern Ocean and cannot be directly compared to GH19 basin estimates which are north of 45ºN. A more apples-to-apples comparison will take a bit more effort to produce. What is the nature of the feedback between changes in ocean ecology arising from AGW and the phytoplankton component of ocean albedo.? In Ocean colour signature of climate change Stephanie Dutkiewicz, Anna E. Hickman, Oliver Jahn, Stephanie Henson, Claudie Beaulieu and Erwan Monier present MIT community model runs indicating that a blue shift from the sea temperature chare arising from RCP 8.5 is emeging from current satellite data and could impact ~60% of ocean area reflectivity or upwelling radiance by 2080. Has anyen considered the quantitative potential for blue water albedo change coupling to SST’s and summer sea ice erosion rates ?